I was told that once, myself. My first pregnancy, at the age of 20, came as such an exciting surprise to me. I was a young bride with lupus and I had no idea if I could even get pregnant yet there was the proof on that thin blue line on that long white stick. Pregnant. I wasted no time picking out baby names and nursery themes, wondering if he or she would have chubby cheeks or dark hair like mine. I was beyond thrilled that I was now someone’s mommy. But all of that excitement, thrill, and joy was met with the worst news that I had ever received in my life. A simple phone call from my rheumatologist (lupus doctor) threatened to shatter all of my dreams. That was the day I was diagnosed with pulmonary hyptertension and told that “the standard of care is abortion”. I will never forget those words. The standard of care? The standard of CARE? Care for who? Killing my baby would certainly not show care for him or her. And killing my baby would all but physically kill me, as well. The standard of care? My rheumatologist would go into no other details but told me that I must see a perinatologist (high-risk obyn) at once and within a few days I was in the perinatologist’s office. What I didn’t know at the time was that my rheumatologist was a strong Christian woman, who was bound by legal medical standards to inform me that an abortion was “the standard of care” and that as soon as she put the phone down with me, she hit her knees and pleaded with God that I would not take her advice. She knew I was a Christian, too, and she begged God for a miracle. That night she went to her ladies’ Bible study group, and even though she knew it was illegal to give them my name, she shared my first name with those precious saints and asked them to pray for me by name, as well. God heard their prayers. And he heard the prayers of many others. After visiting the perinatologist, I was given a 50% chance (at best) of surviving the next 9 months, and that was only if I aborted my child. If I refused an abortion, she could not even give me a percentage of opportunity to live. She said I would be flat on my back in a hospital bed, on a ventilator, and that the baby and I would most likely both die that way. Essentially, I would suffocate to death. Ironically, I’m claustrophobic and suffocating is my biggest fear. Despite the scary news, I knew that I could not abort my child. I was a Christian. I was pro-life. I was taught that abortion was wrong. I wasn’t a “wanted” child either but I had managed to life an incredible life. Didn’t my baby deserve the same opportunity? And my baby WAS wanted. Shouldn’t I just trust God? Wasn’t this an opportunity to live out those promises that God’s strength would be made perfect in my weakness? So, without hesitation, I told my very disgruntled perinatologist that I would not be aborting my baby. She was not happy with me. She used every scare tactic she knew. She showed me case studies and charts and all the stats that said I would die. But I insisted that I could not kill my baby and that instead I would be trusting my God to make that decision. She rolled her eyes and told me that all she could do then was try to keep me comfortable. I thanked her for that. And then I sent out an email. Back in 1999, e-mail was still a pretty new thing and it was the dawn of the chain email phenomenon. I sent out an email to just about every friend or family member that I had in my address book. I told them of the great news of my pregnancy and the terrifying news of my diagnosis. And I asked them to pray. I was quickly inundated with replies of encouragement and promises to pray. As my friends and family forwarded my emails on to their friends and family, the replies began flooding in from around the country and around the world. I was being lifted up. My baby was being lifted up. I knew God was hearing our prayers. Praying about something never guarantees that God will answer our prayers the way we want Him to. I knew that God could choose to take my baby. I knew God could choose to take me. I knew that God could choose to take me and spare my baby and leave my husband to raise our child alone, at the age of 20. I knew all of those things, yet God gave me a peace that the decision was HIS to make and that it was HIS will that should be done, not my own. Even though God gave me peace about the decision, I won’t lie and say it was easy. My faith didn’t waiver but my heart sure did. I asked God, “Why is this happening to ME? What did I do to deserve this?” I learned at that very young age that God is big enough to handle our fears and our doubts. He’s big enough to handle all of our questions. He knows our hearts and our thoughts and there’s no point in trying to hide them from him. He won’t walk away just because we question Him. In fact, every time I asked Him, “Why?” He pulled me in a bit closer to Himself. That’s what Fathers do. For the next six weeks, friends and family prayed for me and my unborn baby. Every day that I woke up feeling fine, I thanked God. I had no symptoms. I had no trouble breathing. I just stayed in bed and grew my baby the best I could. After six weeks, I was called back to the hospital to repeat the tests and see how far the disease had progressed. I was not expecting much progression, if any, as I was still symptom free, but I was thankful for proactive doctors so I completed the tests and waited for the results. As I left her office that day, smiling and laughing and thanking God, I knew that if my baby was a little girl, her name really should be Miracle. 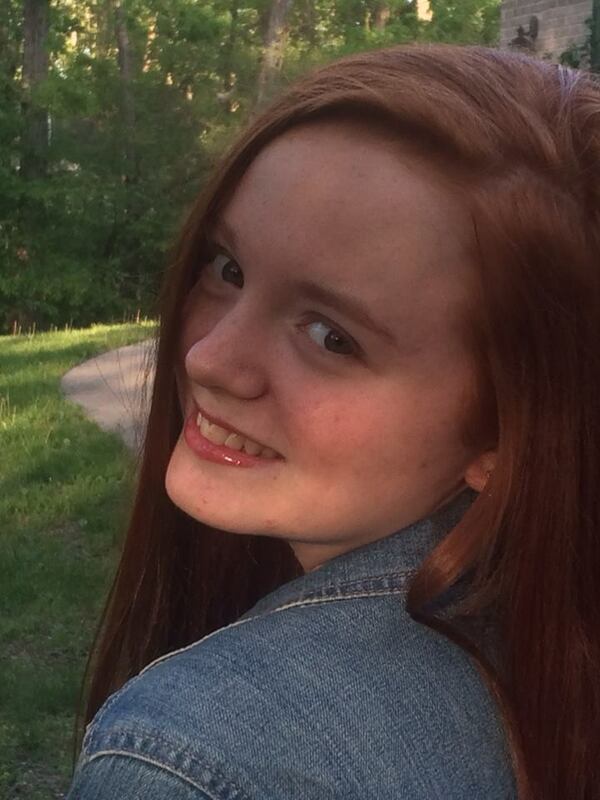 On Sunday, June 25, 2000, my red-headed, chubby-cheeked, perfect baby girl was born and we named her Miracle. In my subsequent pregnancies, prenatal ultrasounds showed chorid plexus cysts in my babies’ brains indicating potential retardation or other health issues. Once again, I was told that “the standard of care is abortion”, but knowing that my God works Miracles, I chose to trust Him again. Each of my children were born perfectly healthy and continue to thrive. I am now a mother of five and I have a passion for helping other women learn how to trust God in the midst of their circumstances. absolutely a beautiful story! Thanks for sharing! Wow!!! Thanks for sharing! Amazing story and a powerful testimony of God’s intervention when we are committed with Him and His principles. I know 2 people personally who were told that they should have an abortion because their baby would be so severely retarted (the doctor’s word, not mine) that they would have NO quality of life. Both mother’s couldn’t do it. Both children are happy, healthy teenagers today. Another was told her baby died and scheduled her for a DNC. She went to have the procedure and had to fight with them to check one more time for a heartbeat. Finally, they reluctantly agreed to check. They found his heartbeat and he’s a happy, healthy teenager. Beautiful story and beautiful Miracle! I will have to share the stories of my boys when their birthdays come. They are miracles as well.